The old adage rings true – learning is a lifelong journey! Image courtesy of Studio Miu Art. As we dive into the new year, many of us may be working towards big life goals – it could be a career shift, moving to a new home, or even starting a family. But while crossing into a fresh chapter, have you also paused to consider how you could grow in intangible ways by learning something new? Picking up new skills broadens your horizons, increases personal growth and could make you feel more fulfilled. Be it art, music, dance or even a new language ¬– what’s a cool skill you always wished you had? Here are a couple of things you could try out, plus check out the schools that could get you started! Want to paint as skillfully? Always admired beautiful art but thought you were not ‘gifted’ enough to try it? Chuck that defeatist mentality aside and pick up that paintbrush! Although art may be a free and sensory form of expression, painting and drawing requires discipline, practice and the mastering of various techniques. So, before you start expressing yourself on canvas, be well-versed in the basics of the craft. A great place to start is Studio Miu Art, an art school that started in Japan and expanded to Singapore in 1996. Apart from children art classes, they also offer plenty of classes for adults such as acrylic, oil, charcoal, pencils, pastels, watercolour, Chinese ink, mixed media and clay. 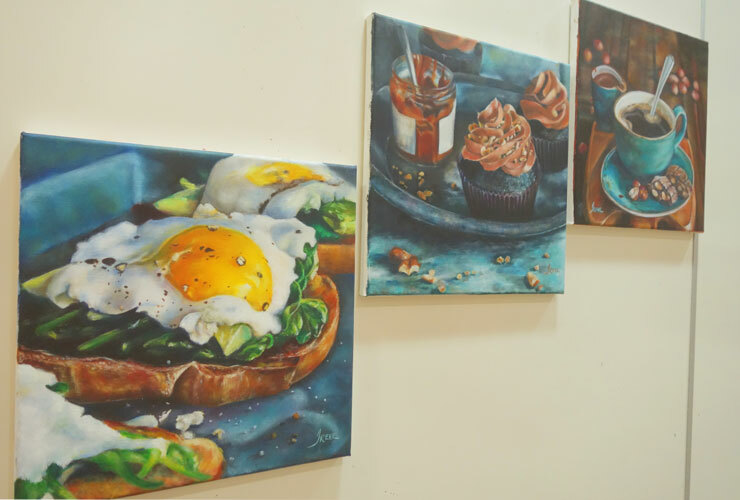 At Studio Miu Art, oil painting is a popular option for adults. Their teachers will guide you in the basics of drawing, along with the step-by-step process of painting, such as colour mixing, painting strokes, and other techniques suited to your painting subject. If you’re worried that you can’t keep up in class, rest assured that they have an individualized teaching style so you can learn at your own pace. You also have the flexibility to join an ongoing class anytime you wish! Plus, enjoy these great deals when you present this blog in-store! Studio Miu Art is located at The Centrepoint. Even adults should try ballet! Image for illustration purposes only. Great news for all of us – ballet isn’t just for kids! So, whether being a dancer is simply a long-lost childhood dream, or if you dropped out of ballet classes as you got older, there’s no reason to shy away from this timeless dance form as an adult! 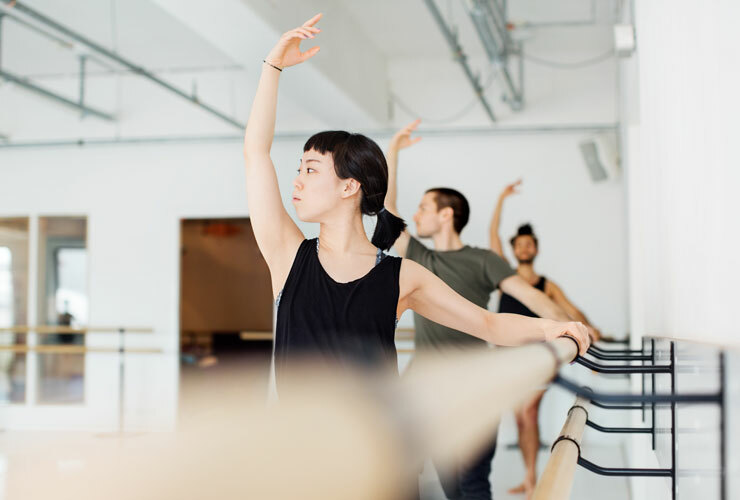 Besides being able to show off those graceful moves, ballet builds strength, improves coordination, flexibility, posture, and trains your mind for better focus. If you’re keen to try ballet, check out the Premier School of Russian Ballet Little Dance Academy. Founded by Belarusian ballet dancer, Ms Elena Kanevskaia, the school features a unique Russian Professional dance curriculum based on the world-renowned Vaganova method of Ballet. They have classes suitable for various levels, such as: point work, ballet repertoire, graceful body ballet, stretching classes, body conditioning, character dance and jazz dance. Every year, the school also produces a professional-level ballet performance, where students can take part in classical ballet productions staged by Ms Kanevskaia. So far, the school has put up The Nutcracker, Alice in Wonderland, Peter Pan and more at some of the biggest stages in Singapore. Prices of classes range from $35 - $45 per class or $300 - 450 for packages of 10 classes over 12 weeks. Unlimited packages are also available, starting from $300++ per month. The Premier School of Russian Ballet Little Dance Academy is located at Anchorpoint. Edvox’s most popular classes for adults are one-to-one piano lessons. If you’re a music junkie, there’s no better way to appreciate your favourite tunes than to learn the art and science behind it. Picking up a new instrument may seem daunting, but you could really benefit from it. And we’re not just talking about bragging rights at parties. Practising an instrument gives your brain the regular ‘workout’ it needs to stay sharp and alert. Research has also shown that music reduces stress and improves one’s mood. We say, sign us up already! Edvox Music school offers a comprehensive range of classes for beginners. So, if you want to fulfil your childhood fantasy of being a pop star, check out their drums or guitar lessons. If you’re more of the classical sort, their piano, violin, viola, cello, or even Guzheng lessons may be just what you need. 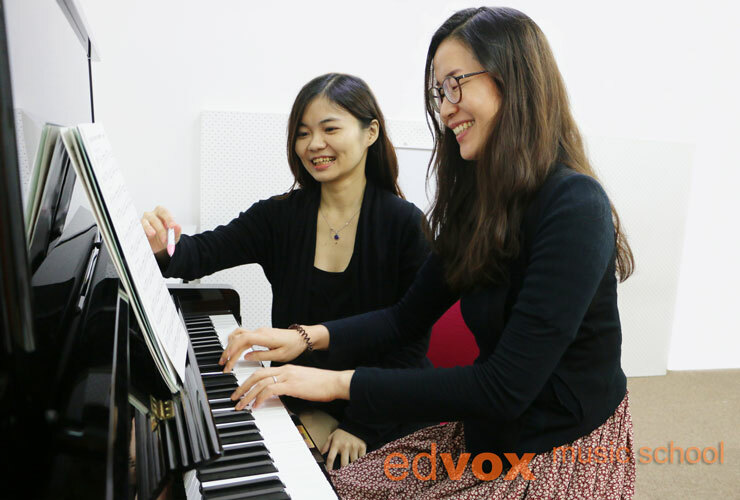 At Edvox, the teachers will make sure you get the right techniques down pat – from note-reading and rhythm awareness, to good posture and hand-eye coordination. The fun part is, you can also join their annual year-end concert, so you can share your musical journey with your loved ones! For adult beginners, classes start from $160.50 per month. If you’re thinking of learning the piano, grab a FREE keyboard for a very limited time when you sign up for classes. For more info on this promotion, please call 6100 3380. Edvox Music School is located at Waterway Point. Alternatively, if you’re interested in quirky instruments like the ukulele, or you want to fulfil your childhood fantasy of being a pop star, check out Seimpi Education. Belt your favourite songs like a pro with their vocal training classes, or learn the piano parts in pop songs at their Pop Piano classes. If you’re more into classical music, you can also check out their classical piano and violin classes. Plus, from now till 31 Mar 2019, book any two lessons for the price of one! Please enquire more in-store for promotion. Seimpi Education is located at The Centrepoint. Always wanted to pick up a really cool wind instrument? Try the flute, clarinet or saxophone at Symphony Music School! Among many others, the school also offers classes in pop piano, electronic keyboard and drums – so if you’ve dreamed of playing in a band, here’s a good way to start! Symphony Music School is located at Causeway Point. Please enquire more in-store. We hope that this has inspired you to take that leap into something new. And with that, we wish you an enriching journey ahead!